Congratulations to Barb Fletcher of Chesterfield, NH — the winner of our second annual Shift Your Shopping Spree. 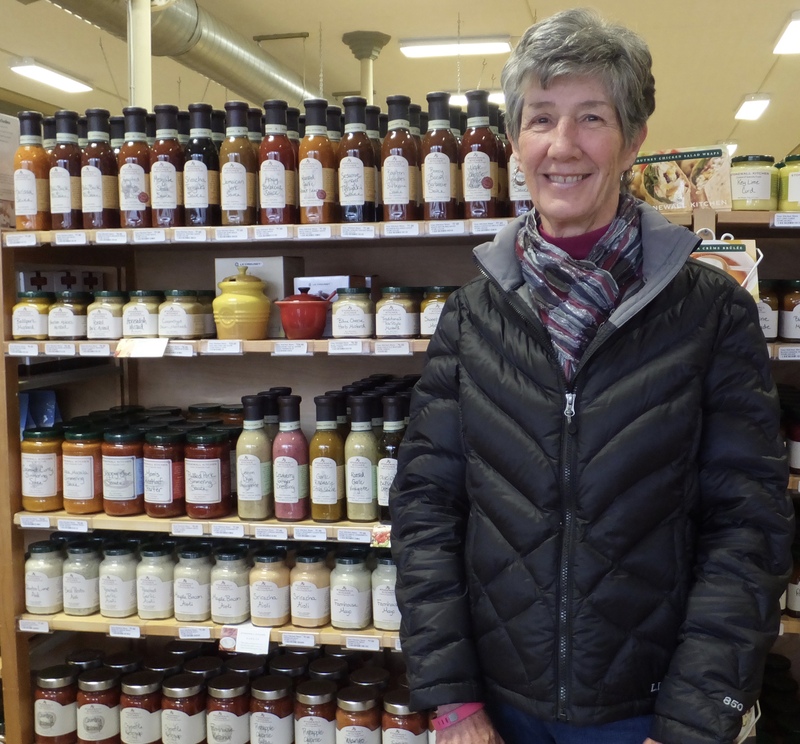 Barb will receive $500 in gift certificates from her choice of Monadnock Buy Local member businesses. Her winning receipt was from Your Kitchen Store in Keene, NH. 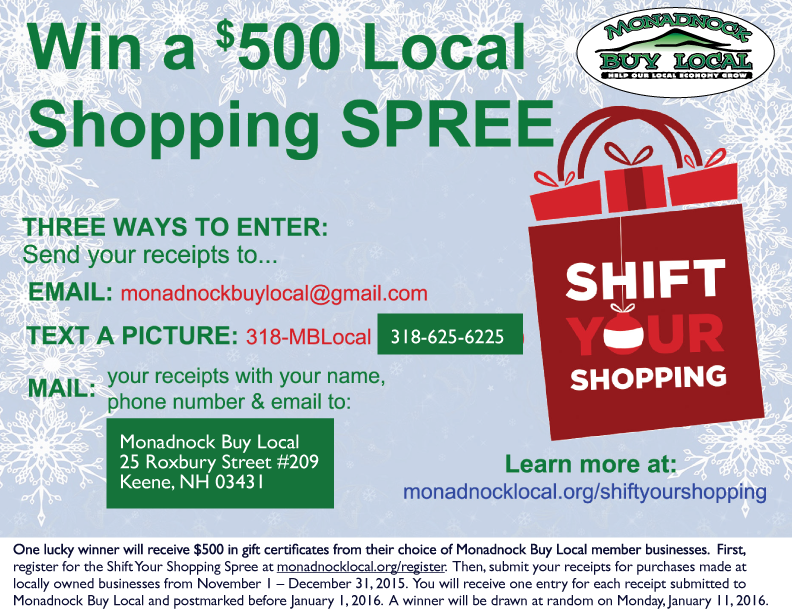 This contest was part of the Shift Your Shopping annual campaign sponsored by Monadnock Buy Local which encourages residents to shop at locally owned businesses during the holidays to grow our local economy and strengthen our community. Nearly 860 receipts were collected from 327 individuals totaling $62,743 in local purchases.